The campsite contains 30 large pitches for tents, caravans and motorhomes. Almost each pitch offers sun and shadow, and electricity supply. Water supply all over the campsite. You can park your car on the pitch. The heated toiletblock is situated in the manor's basement. Toilets, heated showers, washing basins, sinks with warm water, a washing machine and a bathroom for disabled persons. Free use of warm water. Charged use of the washing machine and tumble dryer. All our pitches offer a nice view on the lake or the surrounding hills. Our campsite is very suitable for families with children. For the little ones there is a small playground with a swing, a sandpit and a playhouse. For the older ones there are ping-pong tables, a trampoline, a "jeu de boules" ground, a sports-field for soccer, volleyball and badminton and a campfire-area. Free use of our heated swimmingpool. At walking distance, you will find the "Lac du Tolerme" with pedal boats, canoes, and fishing and swimming possibilities. 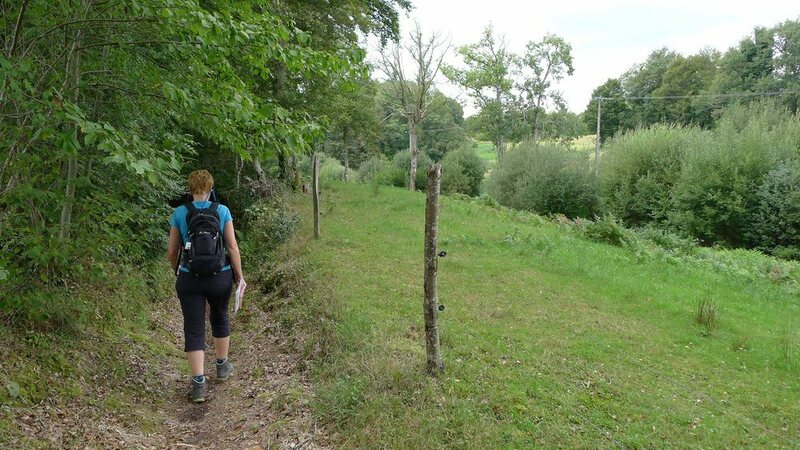 In the off-season periods "Les Teuillères" is a paradise for walkers (in the "Jardin du Sègala" there are more than 18 walking tours), for cyclists, mountainbikers, nature lovers and seekers for quietness. Guides and detailed maps are available.